Welcome to another #TwoBlogsFunGuides event! We are presenting the 2016 Father’s Day Gift Guide which is all part of the 2016 Spring Guide Series! A lot of what I found was sourced from Instagram which can be an absolute lifesaver for finding gifts. I’ve only just got the hang of instagram, but I do think I understand things like why your instagram bio is important now. Looking for the perfect gift for your dad, spouse, brother, or any father in your life this year? Look no further – we have put together some fun and unique gifts that any man will love! Each gift on this guide was personally tested and/or approved by one of the two bloggers: Women and Their Pretties or Mama Smith’s Blog. Please enjoy and remember to keep coming back because new items are added daily! This guide may contain affiliate links. Don’t know what to get for the dad who has everything? Stuck looking at ties, coffee mugs or another personalized pen he doesn’t need? Try bacon! Chef’s Cut Real Jerky is a startup jerky brand with chef-inspired, high-quality steak, chicken, turkey and even bacon jerky flavors that will blow dad away. Pretty much all dads like to think they are a chef in the kitchen. Why not give him a helping hand by getting him some equipment from the UK’s leading sous vide supplier. Who knows, one day you’re dad may be the next TV chef and that will all be thanks to you. In terms of food, for Father’s Day, they’ve created their Bacon Bouquet fully stocked with all of Chef’s Cut bacon jerky varieties – including Sriracha, Maple and Applewood – for just $49.95. Give dad something he’ll really love with this on-the-go bacon snack that he can take to the office, golf course or share with his buddies while watching baseball. In addition to six packs of assorted bacon jerky, he’ll receive a gift card to order more when he runs out. Sent in disguise, he’ll never know it’s coming when it arrives at his door branded as Chef’s Cut Real Flowers! Created by Deekron Krikorian (The Fitness DJ), Motion Traxx is a fitness app that features custom workouts by professional trainers (including celebrity trainers) to keep you motivated through your workout. Motion Traxx offers 20-, 40- and 60-minute workouts and music that matches your intensity to help you push your hardest – it’s like having a personal trainer in your pocket! The app is available on iTunes App Store and Google Play for just $4.99/month or $34.99 a year! Rapala has lots of fishing lures and knives to choose from when getting the perfect gift for dad this Father’s Day. With fishing’s growth in popularity, shop Rapala for some of the most popular items for experienced and new fishers alike. Shadow Rap Shad: The Shadow Rap Shad breaks the traditional lure mold. Head up, ready to rise, the fixed weight system allows lure to rise slowly to attract big fish. Terminator Walking Frog: A state-of-the-art lure for a classic top water fish, the Terminator Walking Frog will have your loved one hopping for joy every time a bass jumps through the lily pads and swallows it whole. Storm Arashi Top Walker: Boasting a “walk-the-dog” presentation that is bound to entice big bites from big fish, the Top Walker delivers a long glid and powerful wake that fish can’t help but go after. Rapala & Respected Rapala Brands Apparel: Have Dad looking great on and off the water with a series of casual, yet stylish threads. AwesomeBox transforms photos, sentiments, and stories into an eye-catching package filled with memories he’ll treasure for years to come. This box isn’t only fun for the recipient, it’s fun for the giver. I created a box for my step-dad for Father’s Day and I felt so connected to him in that moment. We haven’t visited with one another in awhile, so I made a 25 card box with a few pictures of him and I. Then, I began a “Things You’ve Missed” section which contained photos of all of my adventures. I haven’t been this excited about a Father’s Day gift in years. The cards are great quality and the box is such a fun idea! I highly recommend this for Dad this year! Now you can cook all of your favorite homemade meals with just the push of a button. In a fraction of the time! With practically no clean-up afterward. The Power Pressure Cooker XL is the amazing, one-button kitchen miracle that lets you prepare perfectly cooked, mouthwatering meals for your entire family— 70% faster than conventional ovens! The secret is the Power Pressure Cooker XL’s air-tight lid. It locks into place, trapping super-heated steam inside. The hyper-pressurized environment forces liquid and moisture into your food, locking in loads of intense flavor and essential nutrients. One-touch technology means all you have to do is press one of the pre-set buttons. Your family’s favorite homemade meals cook to perfection quickly and easily. All in one pot! The Best. Morning. Ever. Mug. The Best. Morning. Ever. Mug keeps coffee hotter for longer, plus offers a fun dual function… donut warmer! It uses the heat from your coffee to warm the specially designed lid to provide superior insulation inside the cup, while also serving as a hot plate for food items placed on top. It’s great for holding and warming donuts, cookies, muffins, and other treats. It also has a mustache guard for bearded dads. Get dads something unique this year with gadgety gifts from Caseco, a Canadian-based manufacturer of innovative products designed to enhance popular mobile phones, tablets and wireless devices. Their most popular Boho Ribbed Slouchy Blu-toque is so cozy, you’ll wish for a wind chill. With the right amount of slouch, this is definitely the hottest beanie this season. Looks stunning whether dressed up or down, and goes with just about everything in your closet. We’ve all been there. That classic moment when Dad tells a joke, followed by an awkward silence and an eye roll, drawn-out groan, or “Oh, DAD!” Introducing “The Ultimate Book of Dad Jokes,” a new book featuring 1,001+ punny jokes your pops will love telling over and over and over…With this massive collection of one-liners and oh-so-clever quips, no dad will ever lack groan-inducing material to make his kids (and spouse) facepalm. Kid tested and approved, this book is the perfect Father’s Day gift as well as a must-have for all wordsmiths and pun-lovers. All that, and many, many more! Ditto is a discreet, wearable waterproof device that allows you to stay connected without constantly checking your phone (or having it on you). Considered one of the best new gadgets from 2016 CES, Ditto can be slipped into a jean pocket, clipped on a strap or worn on a band and works for everyday life. The customizable device will vibrate when all (or just the important) texts, calls, emails and other app notifications come through. It will also alert you if you’re about to leave your smartphone behind – like at the gym or restaurant – and can serve as a silent morning alarm. Ditto is priced at just under $40. Our Master Chocolatier has teamed up with the original craft beer pioneers to develop a rich, full-bodied truffle collection. Featuring four of Oregon’s well-loved and distinct craft brews – Wheat, Brown, Porter, and IPA – this collection will satisfy the discerning beer and chocolate lover’s palate. Dear Clark Haircare is a range of super-effective, natural based, locally sourced hair care products to bring stressed hair back to life. All of our products are made in Texas with natural active ingredients from the deep heart of the Lone Star State and have a signature scent crafted from pure and powerful essential oils. Rose of Jericho, Aloe Vera and Sunflower Seed Oil combined in all Dear Clark Haircare products produce a unique complex to resurrect, revive and protect you and your hair. Men need clean skin, too! I know so many fathers that take great care of their skin, but it’s difficult to do when they don’t have products that are specifically formulated for men. That’s where My Real Chemistry comes into the pictures. They have great skin care products for men. Pamper fathers this year with these products! Give the gift of sound and music with S-Box’s portable, Bluetooth speaker. S-Box speakers are waterproof, have an 8-12 hour battery life and has built-in microphone so you can even answer calls hand free while you’re laying out by the pool or beach! Inspired by Happiness was created by The Original Cakerie to give desserts back to those suffering from Celiac disease and gluten sensitivity and their families, of which a staggering 1 in 133 Americans suffer from Celiac disease and another 18 million have gluten sensitivity. The three cakes that Inspired by Happiness features are their Dreamin’ of Chocolate Dark & White Chocolate Layer Cake, Dreamin’ of Strawberries White Chocolate Shortcake, and the recently launched Cravin’ for Cookies & Cream Layered Cake. Inspired by Happiness sets a standard for gluten-free living, giving dessert the decadence it deserves, while being accompanied by irresistible flavors, a homemade taste and amazing, moist textures. All treats are customizable and arrive in beautiful packaging delivered right to the recipient’s doorstep or your doorstep – gifting made easy! Just pick the box, ribbon and add a note if you want. Packages start as low as $11 and the bakery also offers low-carb and gluten-free options for those with dietary needs. All items are handmade with the finest ingredients and no artificial flavors. The device calls a user’s smartphone when pushed, enabling homeowners to see and speak with visitors from wherever they are. Even if no one dings the bell, Ring’s built-in motion sensors detect movement as someone approaches the door, triggering instant mobile alerts and initiating HD video recording. Users can then view and share the video recordings with law enforcement officials. Uncover your inner flair for entertaining and discover Skandia. An engaging interplay of fashion-forward design and dynamic forms, Skandia is casual elegance at its best. Inspired by nature, these fresh and modern collections stand for style and individuality to create your refined, yet relaxed dining experience. Ariston Olive Wood Carving Set provides the best quality in fine cutlery, with an exotic, luxurious aesthetic. The knives include an eight-inch slicing knife for masterful command over any kitchen task to a six-inch carving fork for a secure hold and precision. For handy dads who like to take the DIY route with home improvement projects, Father’s Day is all about cool new tools and accessories to add to his collection. Paint is a quick way to refresh a room or an item for not a lot of expense, however painting projects can easily turn messy, frustrating and time consuming. Paint Station™ is an all-in-one paint tray and accessory holder that safely latches to any ladder, creating an at-your-fingertips workstation, eliminating trips up and down the ladder or the need to leave objects on the steps, creating a crowded, unsafe space. The bicycle handlebar cup holder will carry your beer, coffee, water bottle, or even your phone. The beverage holster will free your hands for grilling, tailgating, working in the backyard, mowing the grass, or tossing a frisbee. Both Drink Slings Beer Holster and Bicycle Cup Holder, will hang from your hip, and hold your beverage. The perfect Father’s Day gift for any dad you know! Choosing the perfect gift for the dad who has everything can prove difficult for even the most savvy gift-giver. If you’re looking to up your game this Father’s Day, skip the grill utensils, golf clubs, and beer-of-the-month clubs and give him something one-of-a-kind – authentic, handcrafted charcuterie from around the world. With national availability, the Charcuterie Shack, a new online foodie destination, has created premium gift sets that are the perfect choice for every dad. For the heat-enthusiast, there’s the “Spicy Lover” featuring three all natural salamis with varying spice levels, or for the world traveler who hasn’t yet made it to Spain there’s “A Taste of Spain” featuring three of the country’s most popular cured meats, and for the indecisive dad you can mix and match to make his perfect set. No matter what dad’s preferred flavors are, The Charcuterie Shack has you covered this Father’s Day. Fractures are different from traditional pictures and frames — instead of printing on paper, we print directly on glass. Instead of separating the picture, frame, and mount, a Fracture combines all three into a beautiful, lasting, final product. Our process is simple: upload your photo, place your order, and in a few days dad will receive his Fracture in our custom, environmentally-friendly packaging, ready to be mounted on the wall. We even include the wall anchor. They make every Fracture by hand, in Gainesville, FL (Just up the road from you!) from US sourced materials, and each one comes with our 100% Happiness Guarantee and a lifetime warranty. 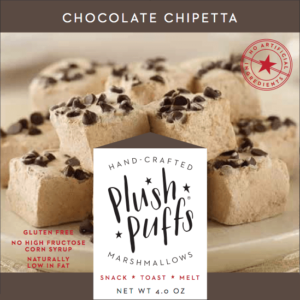 Dad will also love Plush Puffs handmade marshmallows! Have a fun family night by toasting them over a fire to intensify their flavors and create tasty variations on the traditional s’more. With all natural, low-fat, gluten-free and without high-fructose corn syrup flavors, these fluffy marshmallows are a healthy sweet treat for the entire family. In just minutes, Dad can whip up a cappuccino, smoothie or cocktail with one of Blender Boyz’ drink mixes at home. These unique single-serve mixes are like a k-cup for your blender. They are a simple, mess-free way to enjoy a drink, and every tasty flavor is free of fat, dairy, gluten and nuts. For over two centuries Truefitt & Hill, recognized as the finest traditional gentlemen’s barber and perfumer in London, has provided discerning gentlemen with only the finest in grooming products and services. Our offering truly gives men and Dads all over the world the opportunity to look and feel their very best. We all know guys like practical gifts – in fact, 65% of guys in a recent national survey said they want something they’ll use every day – and Gillette Shave Club (GSC) is just that. Gillette Shave Club plans are fully-customizable, so bring dad’s favorite high-quality Gillette blades right to his doorstep this year, because he deserves the best a dad can get. Dad likes convenience and GSC conveniently delivers the best quality blades directly to his door at the frequency he prefers. Dad likes add-ons and when you order your first GSC box with Gillette as the retailer, he’ll receive a free shave gel and razor handle. Dad doesn’t like being irritated and the Gillette Fusion ProShield with FlexBall Technology, one of the products offered through GSC, features added lubrication before the blades, in addition to the Lubrastrip after the blades, providing more razor glide, less scraping and less tug and pull, effectively shielding him from irritation when shaving. As the online provider of customized apparel and accessories, CustomInk has got you covered this year for Father’s Day gifts. Show your appreciation for your dad by gifting him a personalized t-shirt to fit his personality! At CustomInk, real people answer your calls. Real people review and adjust your design for a great print. That’s why they WANT you to call them. Behind the fancy website is a group of real people who are on-call and dedicated to getting your order just right and making you and your group look great. When it comes to their t-shirt selection, the sky’s the limit. They carry short and long sleeve tees for every member of the family, from baby and toddler sizes to great-uncle Fred’s 6XL. Great sausages grilled in less than 15 minutes – any time of the year, in any weather. It is easy to use, easy to clean, easy to store. Perfect for homes, apartments, RVs or college. This is the perfect gift for just about any dad this Father’s Day – I know my husband was excited! Make cooking sausages easy with this Sizzling Sausage Grill. Not to mention the coupons it includes for 20 FREE Johsnonville Sausages & Brats! Yum! Starting at $13.99 and available in 6 different colors in 2 different sizes, these customized photo mugs are the perfect gift for those who want to add a little twist to their morning coffee! Enjoy every sip while glancing at your favorite memories through images of your family, friends, pets, and more. What a great gift for dad this year. My husband loves to show off our family (and our puppy) to his coworkers. This is sure to be his new work mug! WEN MEN Hair and Body Cleansing Conditioner is a new, universal formula infused with Amber, Bamboo, Cardamom and Ginger Root extracts that is designed to cleanse from head to toe. Designed for all hair and skin types, this Cleansing Conditioner is perfect for any man looking to simplify their routine. With one product, you replace your shampoo, conditioner, deep conditioner, leave-in and body wash.
Leonardo’s is a Vermont-based line of quality flavored pizza sauces. Coming in four different flavors, Original, Asiago, Garlic and Chipotle, the sauces lend new flavor to homemade pizzas. They are perfect for the foodie father in your reader’s lives! My husband loves when the family gets together to make homemade pizzas. The day these sauces arrived, we tried one out. Can you say delicious? They will be our go to pizza sauce from now on! Everyday California, a La Jolla-based lifestyle company, specializes in ocean adventures (kayaking, SUP, surfing) and premium California-inspired apparel. Everyday California’s premium quality apparel is made in California from extra soft cotton that’s free of pesticides herbicides, gmo’s and toxic fertilizers. Also, all of the apparel is made in small batches, which means over time you have a unique lineup in your wardrobe. My husband loves his new shirt, and I bet the father in your life will too! Bondic has been compared to a mini 3-D printer in your pocket, and is a perfect gift for Dad – whether it’s home repairs, broken gadgets, fly tying and fishing, or R/C hobbies, men love Bondic! And starting at under $20, you can’t go wrong. Bondic, the 1st liquid plastic welder, fixes just about anything in 4 seconds. Unlike glue, it rebuilds things, so those parts that are gone can be recreated. From phone chargers to toys, shoes to fishing lures – Bondic saves things that would otherwise be thrown out. And suddenly Dad can fix just about anything. It was featured on Discovery Science Channel’s All-American Makers, and has exploded into the hottest new product in ages. A quality pen is a great gift for dad, the man who has everything, to add some style to his professional life. For fatherhood’s most write-able moments, Pilot Pen makes dad’s job just a little bit easier. Fresh and modern, the Pilot MR Metropolitan Collection delivers refined style. Meticulously designed with a brass barrel and stainless accents and nib, Metropolitan is available in three sophisticated colors; black, burnished silver and champagne gold, with premium matte finishes. Elegant and refined, Pilot MR Metropolitan is the perfect gift of affordable luxury for yourself and others. A quality pen is a great gift for dad, the man who has everything, to add some style to his professional life. For fatherhood’s most write-able moments, Pilot Pen makes dad’s job just a little bit easier. The Pilot MR Animal Collection combines modern designs with an array of animal print accent bands for just a touch of the exotic. Crafted with premium brass barrels and polished stainless steel accents, featuring sophisticated looks with durability for daily use. Bring a touch of your wild side to the most professional occasions. Elegantly presented in black gift box and available in a variety of points. This product is incredible! I used these over a week ago and my feet have been peeling for a few days now. Let me tell you a funny story. I tried these out and mentioned to my best friend that I didn’t trust them. The odd thing is that you wear the booties for an hour and then your feet will peel “5 to 7 days later”. I told my friend, “Yeah, right! If these are going to work, they are going to work now, not later.” Boy, was I wrong! It was about 3 or 4 days later and my feet were peeling. This isn’t just your ordinary peeling either. It’s a deep – ten times better than any professional pedicure will give you – peel. I peel dead skin off of the roughest parts of my feet – my heels. Every area that Baby Foot touched, has peeled. My skin underneath is the softer it’s been in years! I am completely in awe of this product. I would recommend it to anyone that feels hopeless about their rough feet. It works wonders! As dads prepare for family summers, they need tools to help them stay connected, be entertained, and save time. The next-generation iXpand Flash Drive fromSanDisk offers a sleek new design and helps make life easier, more productive, and photos and videos more organized for iOS users. This mobile storage device is designed to help iOS users quickly and easily free up space with up to 128GB of additional capacity, and features an easy to use app so the Dad in your life is set-up for success. Additionally, users can automatically back up their photos, videos, contacts and even favorite social media photos directly to the drive through the iXpand Drive app’s social media backup feature. Other capabilities included the ability to shoot photos and videos and save them directly to the drive – allowing for immediate space-saving. Featuring a USB 3.0 connector for faster transfer speeds to Mac or PCs, the next-generation iXpand Flash Drive is the perfect gadget to help organize anyone’s professional and/or personal life. Thank you for posting this awesome Fathers Day gift Guide! So Many Neat things I never would have thought of! !